It was just a few weeks ago that our rhubarb plant was cover with snow. Now we have rhubarb coming out of our ears; it is amazing what a few weeks can do. With all this rhubarb I have been looking for some new recipes to feature on my blog. 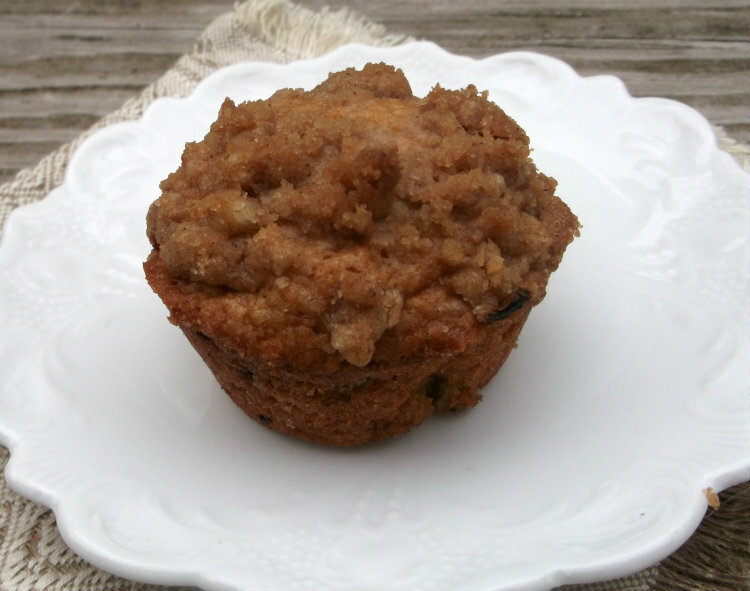 The muffins are simple, not to complicated to make, and the crumb topping adds a little bit of sweetness. Even after giving some of the muffins away, I had some to freeze and yes they froze very nicely. 1. Combine the first five ingredients. Combine the remaining ingredients for batter in a large bowl. Add the dry ingredients and mix thoroughly until dry ingredients are moistened. 2. 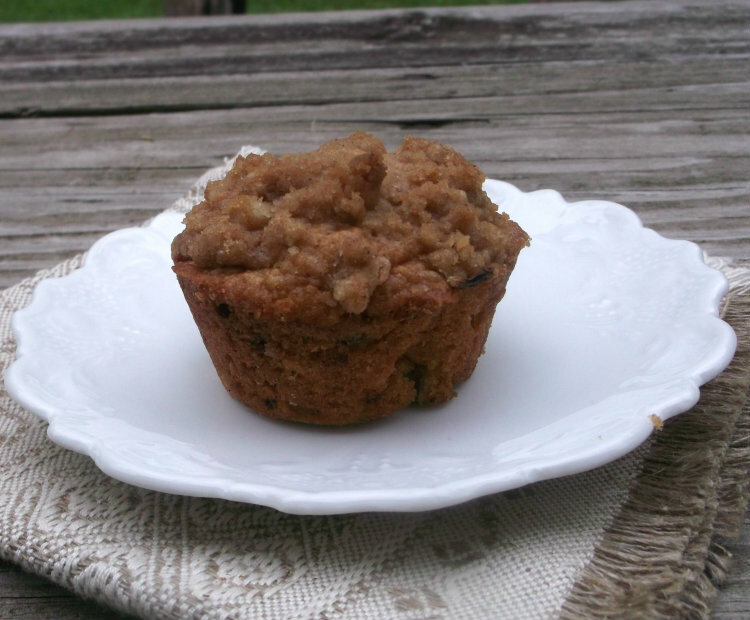 Spoon into muffin cups that have been lightly greased. 3. Combine the topping ingredients, until well blended. Sprinkle topping on muffins and lightly press the topping in to the batter. 4. Bake in a preheated 350 degree F oven for 25 to 30 minutes, or until tops are firm to touch. Rhubarb has such nice flavor! 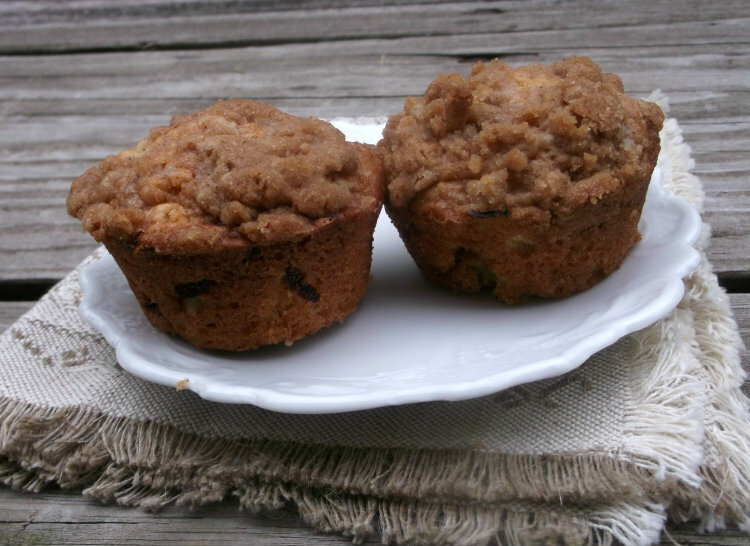 It’s great in everything, but particularly nice in muffins. Really nice – thanks. I made a cake but never muffins. Looks delicious.